Q: What are the course requirements? Students must attend 80% of the 75 hours in order to sit for the school exam. Make up class options are available for up to 1 year and test retakes are an option. (See School Policies and Procedures). Students must successfully pass the school exam with a 70% score or higher in order to be eligible to take the state exam. Q: What is the process for taking the state exam? Students who have successfully passed the school exam, will be able to register online for the state exam through the PSI website, once the school has submitted their name having successfully passed the school test. Students will pick a date and location to sit for the state exam. Students must score a 70% or higher in order to pass the state exam. Students may retake the state exam if needed, and may come back to the school to sit in on other available classes. Q: What do I do after I pass the state test? Students must complete a fingerprinting process through Morphotrack. Q: How do I go about working for a Real Estate Brokerage? Newly licensed agents are independent contractors and may interview to work at any real estate company in the State of New Jersey. 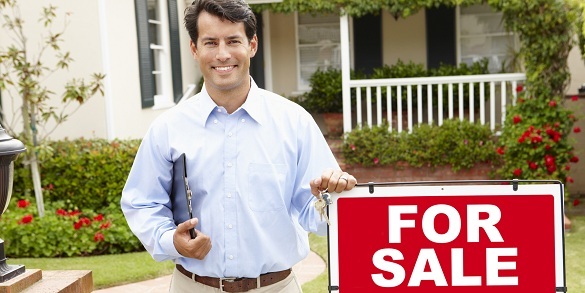 Q: What is the difference between a Salesperson and a Broker in the Real Estate industry? Have been continually licensed and employed on a full-time basis as a NJ real estate salesperson for 3 years immediately preceding an application. Pass the NJ State Broker’s Licensing exam.